YouTube has great embedded and online help. Using edc, we imagined how we could take it one step further. In this article, we show you how you can harness user data to design personalized embedded software help. We’ve used the example of YouTube help and designed embedded help that is individualized based on user login data. YouTube is owned by Google, a company that knows how to use data to personalize user experiences. Based on personal online activity, Google feeds us relevant ads, predicts our search needs, and almost seems to know more about our browsing patterns and preferences than we do ourselves. 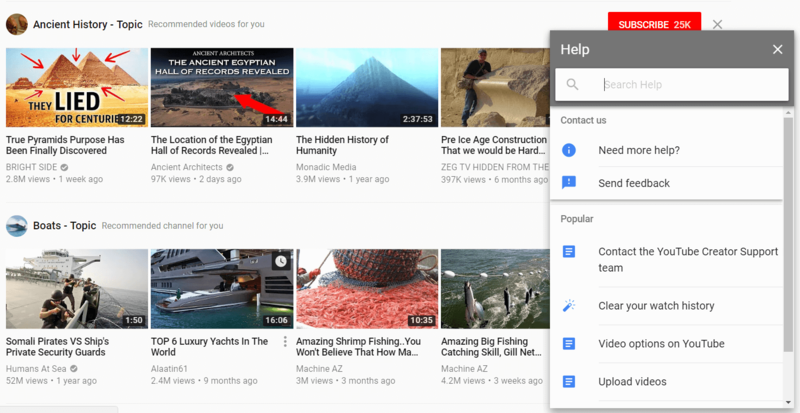 In YouTube, Google tracks viewing history and offers recommendations that are personalized to each user’s viewing habits. This personalization is possible because Google knows how to use the data it gathers to ‘get to know us’ and offer content we may want or need. Our last post goes into more detail about ways to harness login data to design personalized user experiences using access management. YouTube has a comprehensive help system. 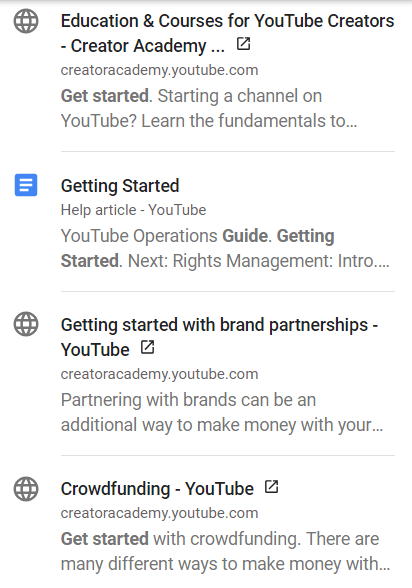 Depending on where you are in the product, YouTube offers related help topics when you click the Help icon. That’s what we call contextual help. We wanted to know if YouTube contextual help could become more personal. And knowing the power of user data and how much of it Google collects, we used a bit of imagination to show how it could be possible. Using edc to design contextualized embedded help, we imagined how YouTube could further personalize the user experience based on user login data. We designed molecular content in edc that could be offered to users based on personal YouTube usage. If you follow edc, you know the importance we place on creating detailed user personas. Personas are the first step to understanding user context. We could use any variety of stored user data to develop user personas. In this example, we decided to keep it simple. Login data can provide basic user information, including activity history, which can inform user personas based on the level of user experience with the product. This user arrives at youtube.com and is not logged in. We called her Alice. 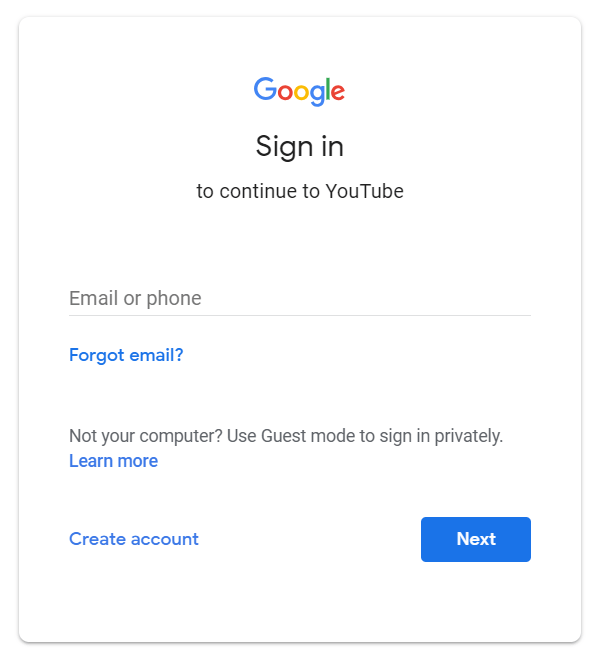 YouTube offers Alice the option to log in or create an account. Alice does not have an account and will set one up for the first time. This user, whom we named Franck, recently created a YouTube account but has no activity yet. Franck needs to learn how to get the best YouTube experience. This user has had a YouTube account for at least six months. In our example, her name is Toni, and she logs in at least twice a week. The user’s viewing activity shows that a high percentage of her viewing activity includes videos about boating. She also watches v-bloggers who cover a range of subjects. Using the existing YouTube contextual help, we mapped relevant content to each persona. Alice, who doesn’t yet have a YouTube account, gets information about how to create a new YouTube account. Franck, who has a new YouTube account, is offered information on how to navigate YouTube with Getting Started content. The experienced YouTube persona, Toni, gets personalized content that takes into account her viewing history and suggests she create a personal channel and her own v-blog, perhaps on boating. One of the most simple and effective ways to personalize content is to call users by name. Once users have an account and are logged in, this level of personalization is simple to implement. In addition to basic help content, we can further personalize the help with some conversational content. We took the existing YouTube help and broke the content into molecules. We use the terminology molecular content to refer to modular content that is minimal and can be amalgamated to design personalized embedded software help. Molecular content allows the help system to determine what content to deliver based on the user persona. In edc, we can link related online content to the personalized embedded software help. So, that’s what we did with this YouTube example. We added YouTube Help articles in edc and linked related content to the personalized content. This means the user gets a personal experience and has the option to view more information if she needs or wants it. When we have access to stored user data, we can personalize content based on the user’s context. In software, as we did for YouTube, that means first identifying user personas. Once you’ve created personas, you can map content to each persona. In edc, we use molecular content so the information is flexible and can be reused and amalgamated to create a personalized experience for each user. Further individualize content by adding conversational and transitional content. Call users by name. Recognize their preferences and usage patterns. Triggers can also be used to deliver the most personalized user experience. Personalized embedded software help. That’s our goal at edc. Sign up for free webinars to see how edc can help you design personalized embedded software help.